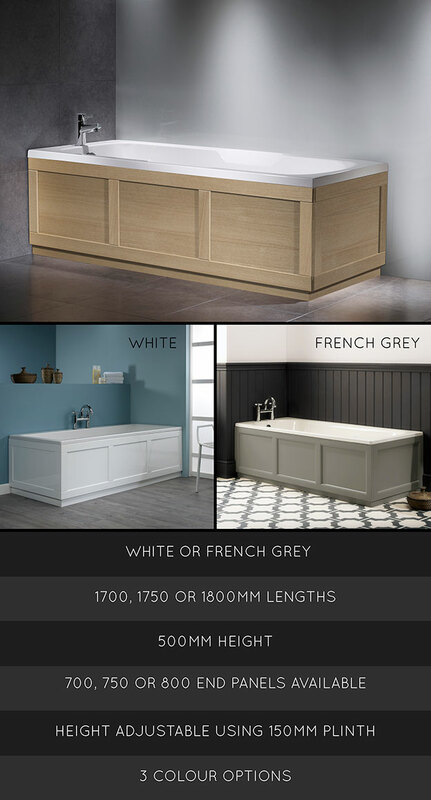 This high quality Shaker bath panel is available with a real oak finish or with a hi-gloss painted finish. These luxury bath panels is available with the use of corner posts in 3 x sizes and has matching end panels if required. All bath panels are height adjustable using optional plinth. Prices ex vat.